Raspberry Pi Boss Detector (Bluetooth Early Warning System) #piday #raspberrypi @Raspberry_Pi « Adafruit Industries – Makers, hackers, artists, designers and engineers! This is a simple but clever way to leverage Bluetooth radio signals as an early warning system for an approaching boss, sibling, parent, kid, spouse, surprise party recipient, or whomever. Once we’ve connected one or more LED’s to the Pi, figured out your target’s Bluetooth MAC address, and loaded some code I’ve written then you’ll be alerted to the target’s approach and proximity by the lights which blink faster the closer your target is. Note also, that if you’d like to use the built-in LED on your Pi, you can skip all of the hardware and wiring requirements below. 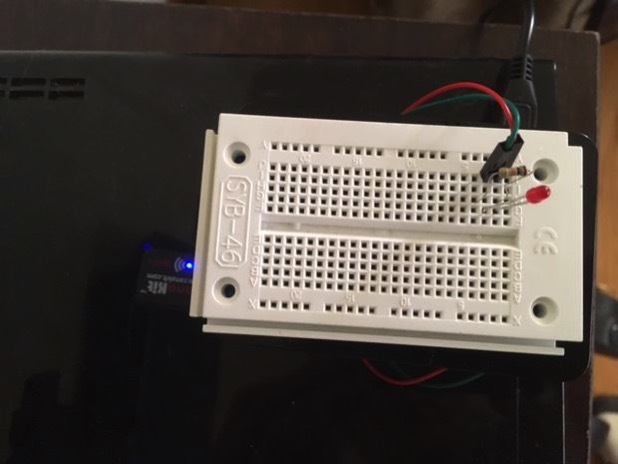 This will work with any Raspberry Pi and can be easily ported to an Arduino or (if you;’re willing to give up the LED feature) any laptop or desktop computer. For this tutorial I will focus on the Raspberry Pi version 2 model B.